Morus Nigra. This is so well known where it grows that it needs no description. �The Mulberry is of different parts; the ripe berries, by reason of their sweetness and slippery moisture, open the body, and the unripe bind it especially when they are dried; they are good to stay fluxes, and profuse menstruation. The bark of the root kills worms called taenia or tape-worm. A syrup made of the juice of the berries, cures inflammations or sores in the mouth, throat, and palate of the mouth when it is fallen down. The leaves beaten with vinegar are good for burns. A decoction made of the bark and leaves is good to wash the mouth and teeth when they ache. 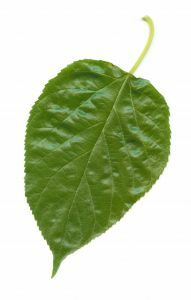 The leaves of Mulberries applied are said to stay bleeding at the mouth or nose, or the bleeding of the piles, or of a wound. The Syrup may be made by boiling the juice of the ripe fruit with twice the quantity of sugar.